Inspired by the garden that she visited in the United States , Tari began the Sensory Garden Project at her school, Bandung School for the Vision-Impaired. 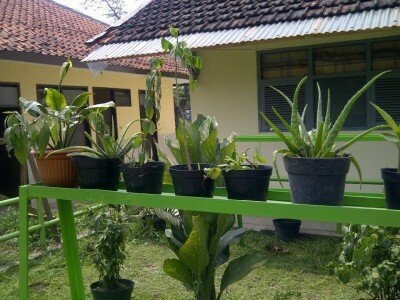 It is the first sensory garden built in a school and has become a trusted model for other special schools throughout Indonesia. 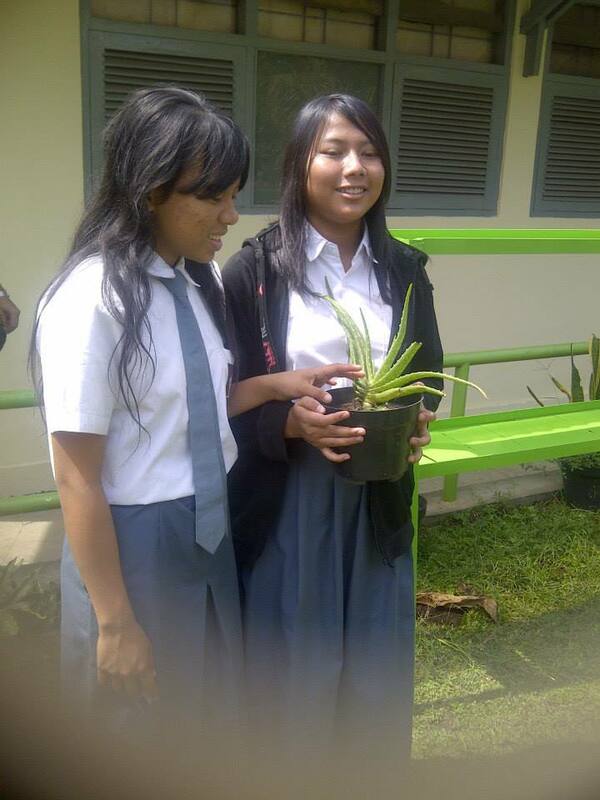 Tari was a participant in the Indonesia-US Youth Leadership program and despite her disability, participated fully in the program activities and the follow on project requirements at her own school. 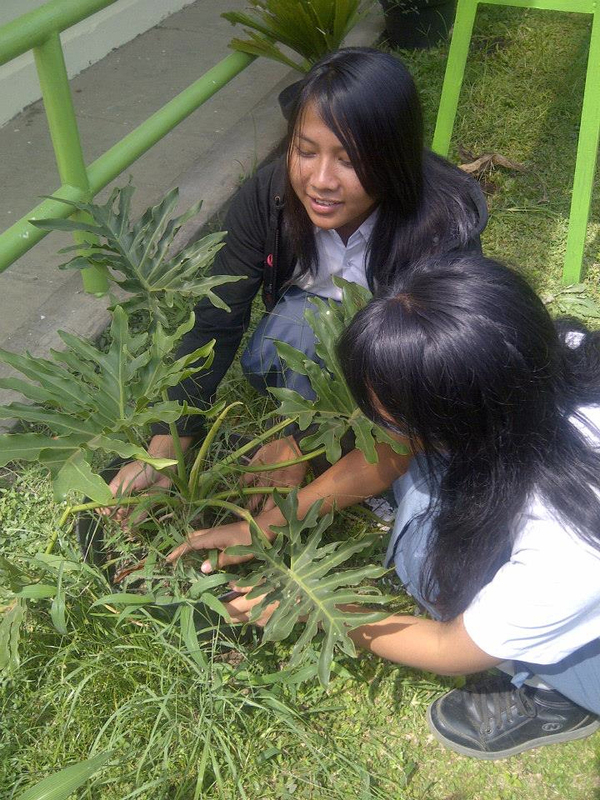 Her first goal was to introduce nature and environment to everyone at her school in a simple and accessible way by providing an eco-educative garden for all school members. She hopes the Sensory Garden will be an environmental learning media and access for students to get to learn about nature. She recruited six volunteers from her class and presented her project plan to school administrators. She spread her plan to entire school by leading a project presentation in 12 classes and sharing her story about her U.S. experiences . Tari has focused on aromatic plants or plants with texture, mostly flowers and herbs, so everyone can recognize each plant by touch, smell, as well as by reading the braille label for different kinds of plants and identifying their use. 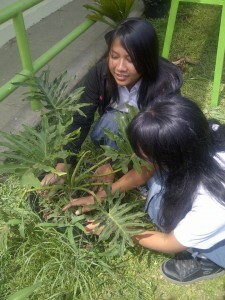 Together with six volunteers, she planted more than 60 local flowers, herbs and other plants. In addition, she recorded an environmental theme song called “Keindahan Alam” or Nature’s Beauty. She created the lyrics based on her own idea, with a message to encourage people to maintain the environment and to appreciate what nature has provided. Tari delivered the main purpose of her project, “to encourage youth action in preserving the environment”, at the first Eco-Leadership Seminar held at her school. All students and teachers enthusiastically participated in this seminar. Tari’s largest challenge in developing her environmental projects, was in convincing her peers that disability is not a barrier to a person’s ability to initiate community action. She solved it by starting the action by herself and showed them her path to success. She gained confidence to speak in public, expressing her opinions and new knowledge in identifying many different plants. Her school principal has shared her project and urged other students to follow Tari’s example and to be more creative and motivated to reach their future goals without hesitation. Tari’s creativity and her humble way in approaching people, easily brought her support for her project as well as sponsors and funding; everyone enthusiastically helped her. 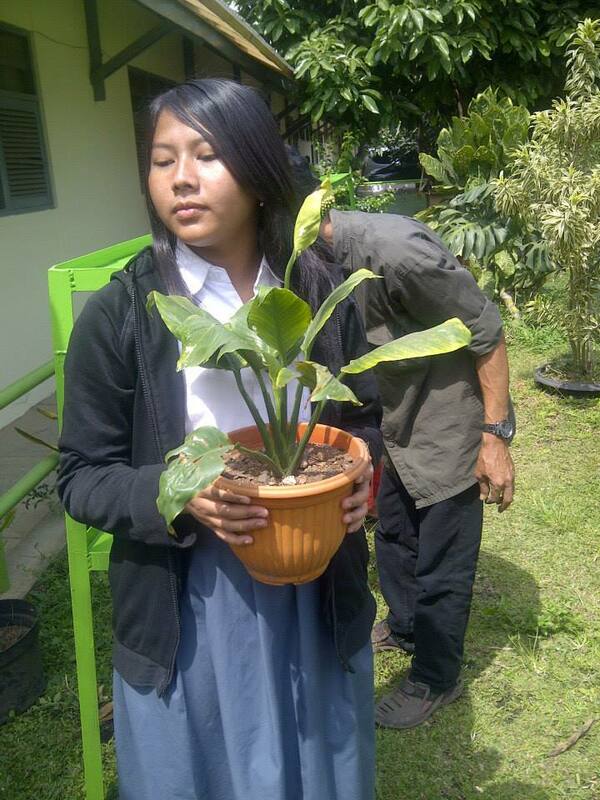 She accomplished all her project goals in providing an eco-educative garden, to help others to to learn about plants, and to increase awareness about maintaining the environment. More than 40 high school students and all school administrators participated in the Eco-Leadership seminar and Sensory Garden launching.